Once again, a small business made big news by suing a customer for giving them negative reviews on Yelp and Angie’s List. I’m still astounded that business owners even consider this. 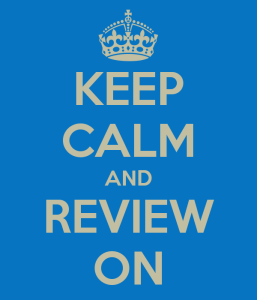 Every single time it happens, the business owners review sites explode with bad reviews. In this case, we noticed a few comments from the article that we’ll use to help SMBs focus on the more positive and constructive ways to address negative reviews. This is exactly correct. The argument from the business owner is that a negative review is defamatory and possibly libelous. The only time that this is even remotely relevant is when somebody who is not a customer gives a false review. There is no value/relevance to reviews from people that have not legitimately used the product or service. However, a valid customer has every right to state their opinion, and the business owner simply needs to learn how to appropriately respond to critical feedback. Suing is not appropriate. No – reviews are not advertising. A business owner totally controls their advertising – they can craft whatever message they want in an ad. You don’t get to craft whatever message you want on review sites. However, you can advertise your own customer service excellence on review sites. What baffles me is why Dermott didn’t reply to the negative feedback with the information she described in the article. It would be authentic and show the businesses ability to respond to critical reviews. Instead, Dermott showed that if you disagree with her she’s going to sue. Why would I want to do business with somebody that can’t accept criticism, even if it may only be opinion? I know this is challenging for business owners – there are so many reports showing the positive impact of a single star increase in your overall rating. Businesses with bad 5-star ratings can certainly lose business for that reason alone. But also consider the Math – a single 1-star review and 3 5-star reviews still average out to a 4 star review. Also consider that most people don’t even consider reviews relevant until you get to double digits. Dermott is mixing up two issues. Nobody is saying that her business is not honorable. It’s great that she’s an aspiring entrepreneur trying to make ends meet, and that her dog training is noble. What she seems to think is that this background gives her “cover” to never have to deal with any negative reviews or issues – that simply due to her background she should be given the benefit of the doubt. We all know this is far from the truth. You’re only as good as your last deliverable. Your background may be what gets people in the door, but it’s what you do once they get there that keeps them. Dermott failed in the most fundamental way – she let her emotions get the best of her and did not allow her good reputation to survive one “bad” experience. Now she’s got a much bigger problem that will likely take a long time (if ever) to fully recover from. That is the real crime in this story.